Technology, it seems, will never stop its amazing venture. Over the years, technology has given birth to some of the most fascinating and useful things. The World Wide Web or, the so-called Internet, is also one of those fascinating things that has delighted the world no end. It is one of the world’s most preferred and used technology of the modern era. Since its inception two decades back by Tim Berners-Lee, the Internet has a range of advancements and changes that have only added to its effectiveness and versatility. Nowadays, almost every individual makes use of the Internet in some way or the other. Internet today delights people with various wonderful uses such as communication, education, business, etc. Internet has connected people from around the world and has brought people together. It’s due to this craziness, effectiveness and the diversity of its applications in the real world, Internet has been termed as the biggest-ever invention of the world by many. The effectiveness of Internet states and stands for itself and various nations like Finland are now claiming that Internet should be made the basic right for every individual. In such event, let’s have a look at the top five treats presented to us by the Internet. The first Web Browser was named as WorldWideWeb, and was launched on 26th February 1991. And since then it has seen many players being entered. The first commercial web browser success was Internet Explorer that was integrated in Windows OS by Microsoft. The other major Browser applications nowadays are –Google Chrome, Mozilla Firefox, Opera, Apple’s Safari and etc. A web browser is, indeed, the most elementary thing each one of us know about the Internet. It’s the web browser that helps us connect to the Internet to access things like Google, Emails, Facebook, and the likes. It’s a dull zero, the world of Internet without a web browser, isn’t it? That why, it is more than reasonable to say that Internet browser is the heart and soul of the World Wide Web. It is a basic platform required to fulfil our Internet needs. 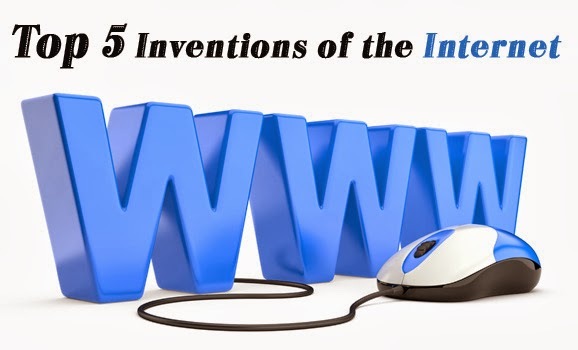 And so, the invention of the web browser is certainly the biggest invention in the world of World Wide Web. Dubbed the WorldWideWeb, the World’s first-ever web browser went live on February 26, 1991. Ever since then, there have been numerous names flowing in. Microsoft in Windows OS launched Internet Explorer for the first time as a commercial product. Various Browser applications such as Google’s Chrome, Firefox, Opera, Apple’s Safari, etc. are being used by people all over the world to surf the Internet. Search Engine is another popular term on the web which became a very essential part of surfing the web as the number of websites started increasing. Once there were a hoard of website for every category, accessing relevant and best information became really tough, more if the correct address of the website was not known. In such a scenario, the web world was introduced with the novel concept of search engine which made searching websites fairly simple even if the exact URL of the website being searched for was not known. Google was the first-ever Search Engine that became popular soon after its launch in 1998, though a few other search engines like Archie, Veronica, etc. were also introduced earlier. Google made a remarkable revolution in the history of Internet by making the Internet search business a multi-million business that profits billions of people today. Google is not only the biggest advertisement giant on the World Wide Web, but it also directs and sets terms for the standards of other websites on the web. Google is followed by many other search engines such as Yahoo and Bing. Real Time Streaming is one of the most widely-used technologies in this modern age of digitization. It has completely revolutionized the way the Internet looks as it is on this very technology that the framework of modern social networking websites like Facebook and YouTube is based. It gives social media users a complete autonomy of updating, uploading and sharing their data, images, videos, etc. immediately with their loved ones. Earlier, emails were the only basis of sharing information. Real Time Streaming has also allowed search engines to provide real time updates, search figures, etc. to help users make the most of both the technologies. In 1970, the Institute of Electrical & Electronics Engineering (IEEE) came up with an astonishing technology that allowed users to talk to anyone around the world by making extremely affordable or free-of-cost calls. The technology, termed VoIP worked by the conversion of voice signals into Internet packets that were used for the purpose of broadcasting via Internet cloud, a comparatively cheaper medium to conventional Telecom Cloud. In today’s Internet world, apps like Skype are highly popular for making free or cheap calls. These apps are based on VoIP, a technology you can put to use for sharing files, making video calls, transferring documents, etc. In the early days of Internet, it was really troublesome to connect, configure, schedule and reschedule Internet using a dial-up connection, hope you remember! Thanks to wireless connectivity that has kicked out all the hassle involved in the process of connecting a computer to Internet through dial-up connection. You need not worry about cable connections as wireless technology is here and it’s here to stay. Wi-Fi not only provides you a faster access to Internet but also provides you the ease and convenience of using Internet anytime on-the-fly.